The first thing you need to know is that MBA admissions processes operate in a ladder-like manner: there are several steps that lead applicants from their Admission Test scores to the personal interview, the final stage of the process. Most business schools won’t tell you precisely at which stage they decided to reject your application (if you get in, you’re simply invited for the personal interview after having submitted your documents online and then offered a place in the program). Being aware of exactly what it is application's managers are looking for is the key to a successful application. Most business schools publish in their MBA entry requirements page the minimum GMAT score you must obtain to be considered for their programs (usually 650 or more). If your score is inferior to the published score, you’re probably out. 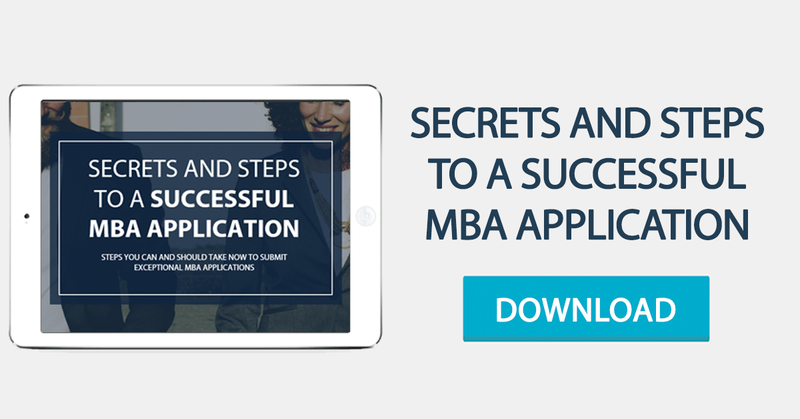 Remember that thousands of people apply for MBAs every year, so applications managers need to be able to begin comparing applications in an objective way. Your CV will be appreciated in both an objective way and a subjective way. Objectively, the question applications managers wish to have answered is: Does the applicant meet our MBA’s entry requirements? This means having a minimum of 3 years of full-time professional experience; possessing a Bachelor’s degree (an MBA is a Master’s degree program); and being fluent in English. Subjectively, the question applications managers wish to have answered is: Does the applicant have a personal skill set in accordance with our target profile? Leadership; teamwork; cognitive skills; social skills; creativity; etc. are just some of the features most MBA applicants are commonly expected to demonstrate. Showing investment in education and in personal and professional challenges is also important. Failing to prove you meet objective entry requirements or failing to impress with your CV, means you’re most likely out, so be sure to submit a well-rounded and impeccable CV. The goal of MBA applications’ essays is to allow business schools to understand how applicants think and if they possess the qualities that MBAs must have to succeed: intellectual skills; leadership and teamwork abilities; an easy and agreeable communication style; an international frame of mind; and ambition. Evaluating an essay is an extremely delicate task, so applications managers invest a significant amount of time debating about what the combination of CV + essays tells them about each applicant. One particular important essay is the one that asks about the applicant's career goals. The "placement potential" is key when applying to full-time MBA's, so make sure your career aspirations have a fit with the MBA you're applying, and they're not unrealistic. When in doubt about an applicant’s profile, applications managers resort to the recommendations he or she submitted. Reading what direct reports, former colleagues or Professors have to say about an applicant complements his or her CV and essays, yet from an external point of view. For example, when applications managers are leaning towards inviting an applicant for a personal interview, they will do so if the recommendations confirm that the applicant’s personal skill set is in line with that of the target profile (or even better than that). This is the final stage of the application process! Remember it’s all about empathy at this stage, so remain confident and polite and consider their questions thoughtfully. Few applicants make it this far, so hopefully, you’ll impress your interviewers! Feel free to contact us if you have any questions about this topic.